You all know that I LOVE taking our games and turning them into fun learning opportunities. My Kindergartener is on a quest to "master" her sight words before anyone else in her class. I promise you this is her idea, not mine. Of course, this mama is happy to oblige her in her educational efforts, especially ones that help her in her "learning to read" journey. 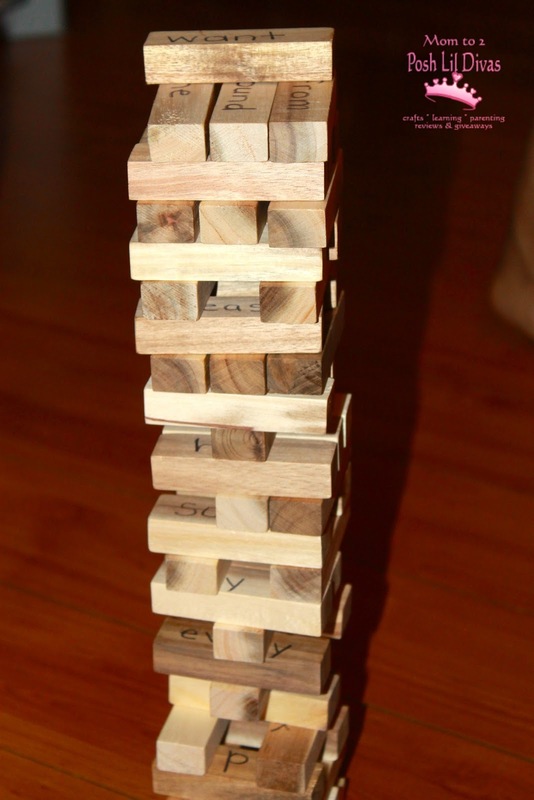 One of my latest play to learn tweaks on a game is taking a generic version of Jenga (I scored this on sale for super cheap before Christmas and was giddy!) and turning it into a Tumbling Tower Sight Word Game. She loves it. 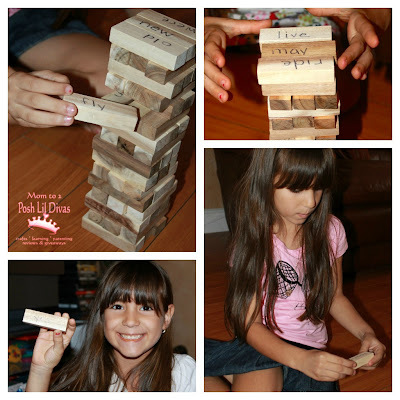 What kid doesn't like to play Jenga? It's fun! Set up for this was super easy. I just took our target sight words and wrote them on the blocks. I opted to use 2 words per block but you can do just 1 to start with and have room for more as you go along. Set-up the game and play as you would your typical Jenga type game. 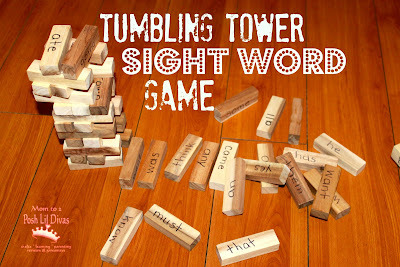 For each block that the Littlest Diva extricated from the tower, she had to correctly read the words before she could add it back to the top of the tower. We have had lots of fun playing and learning together and the Littlest Diva is quickly mastering her sight words at the top of her class. I absolutely LOVE this idea. I gave my 4 year old granddaughter Jenga for Christmas, and I am trying to teach her to read, but she gets bored with it. 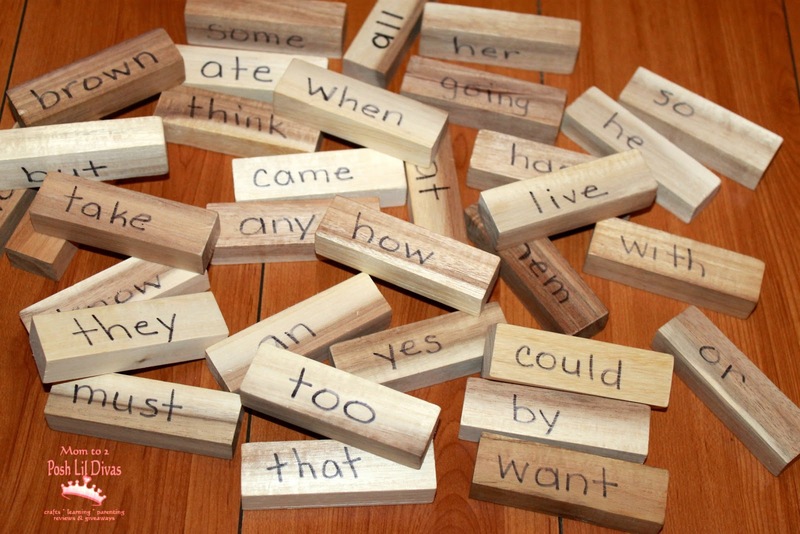 Adding words to the Jenga blocks will add a new twist to her reading experience.